Get crystal clear on your brand vision for 2019. Define what your brand truly stands for, discover your brand personality and archetype and attract your dream clients with our famous 1-on-1 Brand Strategy Workshop. Your brand is the personality of your company, determined by how others perceive it and experience it. It’s how they feel about your product, service or business. You can project an image, but it’s up to your clients and customers to make the emotional connections. Your brand is not limited to logos, colours and fonts but it’s really about projecting your brand identity to the outside world – living and breathing the core values of your company. A brand strategy helps you map out your brand vision – what your brand stands for, who your dream clients are and what’s the best ways to connect with them. Only then, we design. Work with me to develop your brand strategy and get your brand on brand for 2019. Our collaborative Brand Strategy Workshop provides a strategic planning framework to help you define your big brand vision for 2019. We work together to uncover insights about your brand. It’s hands-on, and fun! We view your business from many different angles to gain clarity on what your brand stands for, to truly understand the goals and needs of your customers and and align your brand with neuro-based brand archetypes that match your core values and mirror customer goals. What are your goals for the next 12 months and beyond? We’ll make sure that your brand strategy aligns with your business strategy. We get you and your team involved to uncover the core company values that your brand should live and breathe at every touchpoint. Do you have multiple brands under one big umbrella? We take a look at your brand architecture to gain clarity to ensure your sub brands and products are structured correctly. 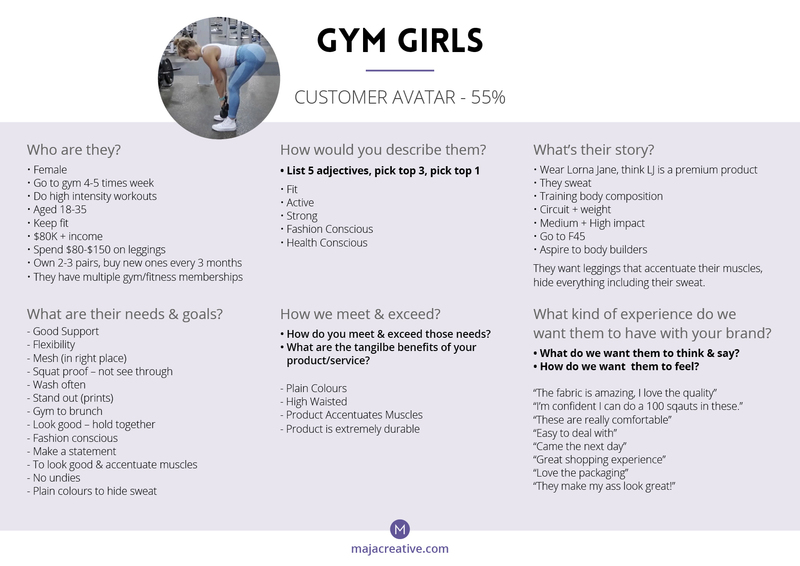 We help you describe your tribe by taking you on an in-depth journey into the hearts and minds of your dream clients to uncover their goals and needs that drive purchase decisions. If your brand was a person, what would they be like? 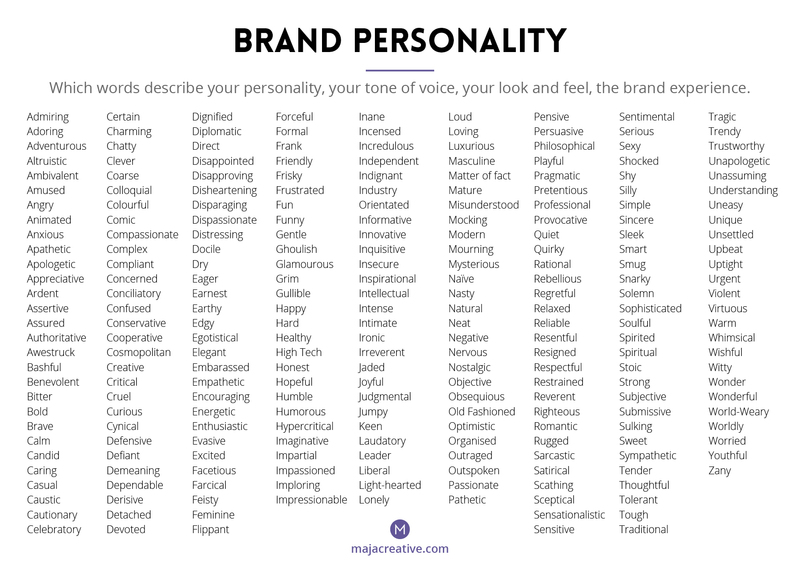 We uncover you dominant Brand Archetypes and determine your brand personality, tone of voice, look and feel. We help you uncover your X factor that makes your brand truly unique to differentiate you from the competition and position your brand for success. 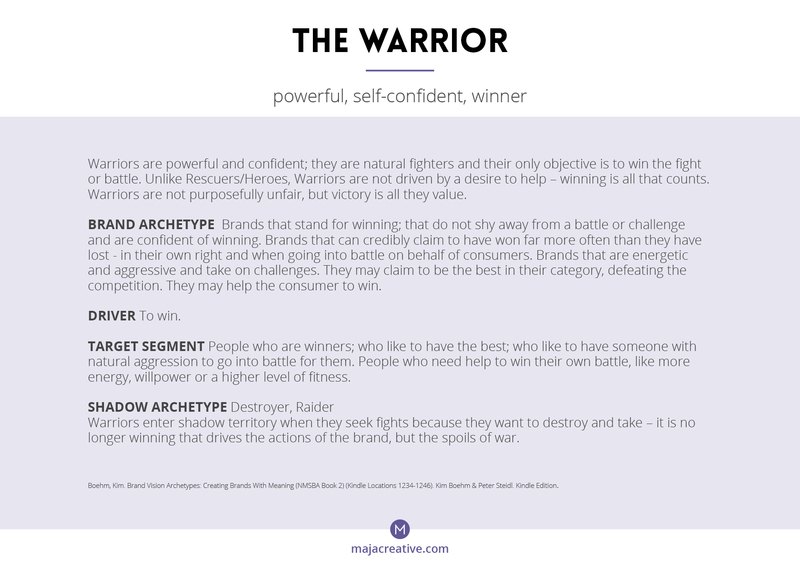 Brands use archetypes to act as a tribe leader that serves a group of people with a shared vision, belief and goals. Successful brands have a strong sense of identity, one the mirrors the hopes and aspirations of their customers and many of the world’s leading brands align themselves with a Brand Archetype. Developed by psychologists Carl Jung and Joseph Campbell, archetypes are universal, mythical characters that can be found in all cultures. They are instantly familiar to us because they are primal and instinctive – they reside within the ‘collective unconscious’ we all share and identify with. Using Brand Archetypes provides a framework for your brand’s personality and makes it easier to tell your brand story. Brand Archetypes create a ‘persona’ that can be easily understood because they evoke deep emotions that we all subconsciously identify with. Each Brand Archetype has it’s own set of values, meaning and personality traits. The concept of archetypes is aligned with neuro science research that people make intuitive decisions and that consumers are driven by non-conscious emotional goals. The more you humanise your brand, the more successful your brand will become! 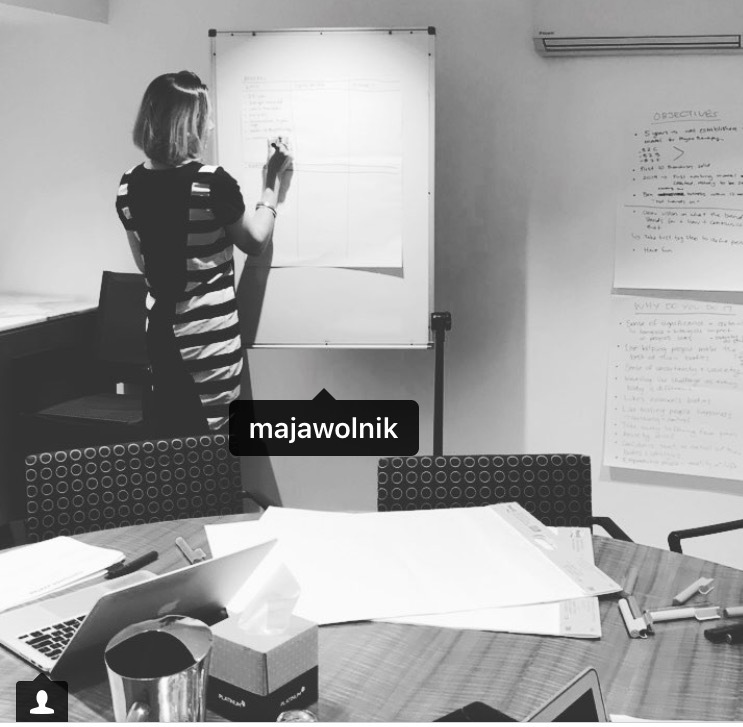 A 1/2 day or full day Brand Strategy Workshop (dependant on the size of your business) in person with me in our beautiful boardroom. You’ll have full access to my branding expertise and experience. 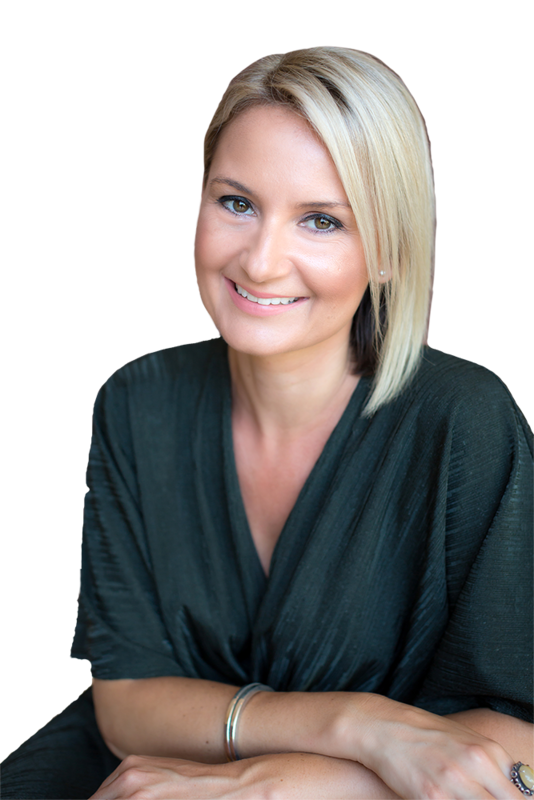 This one-on-one workshop is personalised to suit your business and I’ll be focused purely on your brand during the workshop. You’ll be amazed what happens during the Brand Strategy Workshop, unexpected insights and moments of clarity are sure to ensue. We’ll create 4 dream client profiles for the various types of clients and stakeholders you serve so you gain in-depth insights into your tribe. We’ll give you an in depth overview of your dominant and secondary Brand Archetypes so you can understand which brand personality you should align with. We’ll summarise all the findings and insights from the workshop in a comprehensive Brand Strategy Kit that’s yours to keep. It’s your brand bible to educate your team and pass onto web developers, social media gurus, designers and copywriters so they too have a crystal clear vision on what your brand stands for. You’ll walk away with a deeper understanding of your customers, your brand personality and brand archetype and a roadmap of what your brand stands for – a true vision for your brand for 2019. Although all business owners can grow professionally by attending our Brand Strategy Workshop, we find that emerging companies who have been in business for at least 2 years benefit the most as well as those who are considering a re-brand and have been established for at least 5 years. Our in-person workshops are conducted in Melbourne, however we may be able to travel interstate for selected suitable companies. To get your brand On Brand for 2019.